Our God is Faithful. 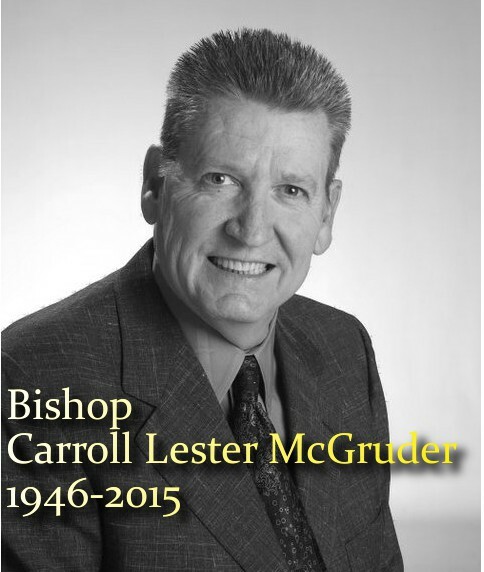 On September 13th, 2015 at 10:40 pm, the McGruder family witnessed the promotion of our beloved Bishop Carroll McGruder to his eternal reward. He so aptly penned the lyrics to THE GREAT HOMECOMING; today they are relevant to him. He made his transition peacefully in his own bed with family gathered around. His family and friends from around the world have held him and us in continuous prayer these past days. He expressed several times how he could "feel" that support. We thank each of you for your calls, texts, and other expressions of concern. We will all miss this great man of God immensely and ask for your continued prayers as we begin a new phase of life without his counsel, presence, and support. Our hope is in the witness that Bishop has left us. He received his reward, and we are resolved to go where he is.